For those of you who are new to cannabis, it can be a lot to take in. Terpenes? CBN? Endocanna-what? There are a lot of terms thrown around regularly, that can even get veterans head’s spinning! 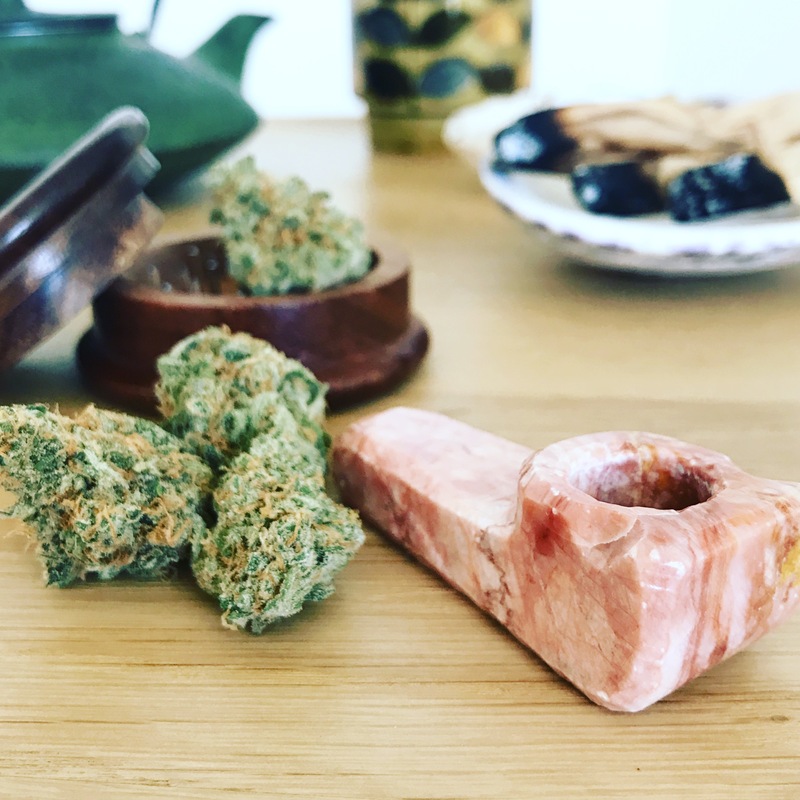 So without further adieu, we’re adding a glossary of cannabis-related terms that you can use to impress all your friends. As the cannabis industry grows and new studies are conducted, this list will be added to. If there’s anything you think we should add, shoot us an email! Blood-Brain Barrier: The blood-brain barrier is a membrane barrier that separates circulating blood from the brain and central nervous system. Cannabinoids must pass through this barrier to affect the brain, which they can only do after decarboxylation. Certain terpenes can alter with blood-brain barrier, making it easier for cannabinoids to enter the brain. Cannabinoids: Usually refers to THC, CBD, THCA, CBDA, CBG, CBN, THCv, etc. Once thought to be unique to the cannabis plant, types of cannabinoids are produced by many plants. Cannabinoids are produced in excess by cannabis, mostly in the plant’s trichomes. Cannabinoid can refer to any product made by the cannabis plant, including terpenes. Concentrates: Cannabis concentrates can refer to any substance that takes the natural cannabis plant – usually the flower – and strips the trichomes in an effort to reduce the leaf matter and increase the desired compounds. This includes kief, hash, oil, wax, rosin and isolates. Concentrates can be “whole plant” or “single compound,” cured or raw. CO2 Oil: CO2 Oil uses carbon dioxide and various heat temps to create a pressurized environment that forces cannabinoids into an oily concentration. Cure/Curing: Curing is the process of drying out the flower and stems after harvest. It helps develop characteristic smells, and makes the flowers suitable for smoking comfortably. Dab: The use of cannabis concentrates exposed to high heat for the purpose of inhalation. Dab can refer to the act of ingesting, or the concentrates to be ingested. Or a celebratory move. Decarboxylated/Activated: Decarboxylated refers to the process of having been decarbed, or gone through the decarboxylation process. Decarboxylation removes an acidic molecule structure and “activates” the cannabinoid, allowing it to pass through the blood-brain barrier and have psychoactive effects. This naturally happens when cannabinoid molecules in cannabis plants degrade, and can be caused by light, oxygen, or heat – the most popular way to speed up the process. Endocannabinoids: These are cannabinoid like compounds made by the human body, which are responsible for regulating almost every physiological reaction we have. Terpenes and cannabinoids are thought to mimic or supplement the natural compounds made by our bodies, which is why cannabis can be such great medicine. Full Extract Cannabis Oil (FECO): Full extract cannabis oils are concentrated essential oils from cannabis plants. Solvents, such as ethyl alcohol, are used to separate the cannabis resin from the plant matter so that all the beneficial compounds are extracted and preserved for consumption in the oil. Endocannabinoid receptors: A complex biological system in the body, the endocannabinoid system is important to homeostasis, and is the way that cannabinoids interact with the body. Endocannabinoid receptors are mostly found in the brain and reproductive organs, but can be found throughout the body, including in organs, glands, connective tissue, and skin. Hash/Ice Hash: Hash is another of the old concentrate art forms. It is the reduction of kief by beating, pressure, or heat, and results in soft blonde hash, to dark brown hash, to sticky dark hash. Ice hash is a common form of solventless concentrate that is becoming more refined and popular through innovation, as it becomes a more dabbable product. Some people/regions refer to all cannabis concentrates as hash. Honey Oil: Honey oil is an oily concentrate that historically referred to naptha, ethylene, or ether extractions of cannabis. Has a dark color in large quantities, but thins out to an amber color. Honey Oil can be used to refer to modern day CO2 oils, or low grade butane extractions (BHO). Indica vs Sativa: If two strains both have 15% THC, what makes them different? Terpenes! Indica and Sativa are best used as grow terms, or to describe landraces/native strains. Check out Leafly’s explainer on indica, sativas, and hybrids. Isolates: Isolates are terpenes and cannabinoids refined from the cannabis plant to create single compound concentrates. They whittle away all other parts in a lab to produce a product with only the desired compound. Juicing: Juicing refers to the pressing of fresh cannabis leaves. It’s a raw, acidic form of ingesting a cannabis concentrate that is high in flavonoids, and generally low in raw cannabinoids, non-psychoactive, and devoid of active cannabinoids. Juice can be frozen up to three months, or refrigerated up to two weeks. Kief: Kief is one of the oldest forms of concentrates, made by collecting raw trichomes from the cannabis plant. The best kief is often cloudy to amber in color, and usually ambers more as it ages. Greener kief means more leaf matter. Live Resin: Live resin is concentrate made with flowers that have not been cured using flash freezing immediately after harvest. While the curing process kills off the majority of available terpenes and volatile other smell factors (esters, etc), live resin seeks to capture them – giving a “living” example of the strain’s character. Live resin can be made using any concentration process, though -tane extractions tend to be the most successful. Oil: Oil is a term used to describe concentrations of cannabis that result in products with an oily consistency. Typically concentrates made with alcohols and using pressurization (CO2) result in oils. Terpene isolates will be in oil form, since they are effectively essential oils. Oil may also refer to plant or animal oils that have been infused with cannabis. Pearls: Pearls are cannabis concentrates that have been molded into balls. Raw/Acidic: “Raw” or “acidic” refers to the original state of the cannabinoid, with its acidic component. This acidic component prevents the cannabinoid from passing through the blood-brain barrier, making the raw forms of cannabis non-psychoactive. “Sauce” HCFSE/HTFSE (or High Cannabinoid/Terpene Full Spectrum Extract): Using a special mix of volatile hydrocarbon gases (like -tanes) and often processing uncured product, chemists are able to cultivate very pure, ultra-refined yet extraordinarily well-balanced and true-to-strain concentrates. These are often layered, with large THCA crystals collecting on the bottom, also known as diamonds. High Cannabinoid will have more diamonds, and High Terpene will be an oilier sample. Shatter: Concentrates that are structurally very stable, resulting in a shattering effect when handled. Shatter also be referred to as glass, which denotes its clarity. Shatter can be very sticky, and “budder” when it’s too warm or improperly cared for. It may also refer to “pull-n-snap,” which is a pliant form of shatter. Sugar Wax: Sugar wax is a wax that has broken down and crystallized, creating a concentrate with a richer flavor profile. Some dabbing connoisseurs prefer dabbing sugars over shatter. Terpenes: Terpenes modulate the entire cannabis experience. Just like lavender, black pepper, citrus peels, geranium and numerous other plants, they’re the essential oils and aromatic compound of the cannabis plant. In fact, many people supplement their cannabis experience using other essential oils. * Check out Green CulturED’s visual guide of terpenes. Trichomes: A resinous outgrowth of the cannabis plant, trichomes are mostly concentrated on female plants during flowering. Trichomes contain many of the components known as cannabinoids and terpenes. Wax: All shatter is wax, but not all wax is shatter. All wax is dab, but not all dab is wax. Wax refers to cannabis concentrates that retain their plant waxes, but are refined of leaf material and don’t present an oily composition. They can have almost any other form: earwax, budder, crumble, shatter and rosin are all forms of wax. Most forms of wax are chemical (-tane) extractions, except rosin.